QUESTION: Do students have to restate the question when writing a constructed response? 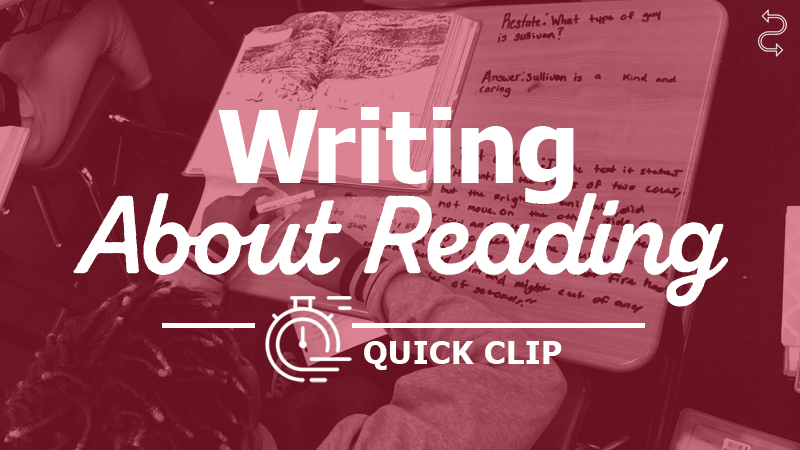 ANSWER: A common expectation of standardized assessments is for students to write brief constructed responses that articulate their thinking about the reading. To support students in writing a succinct yet complete response, teachers often provide them with an acronym.